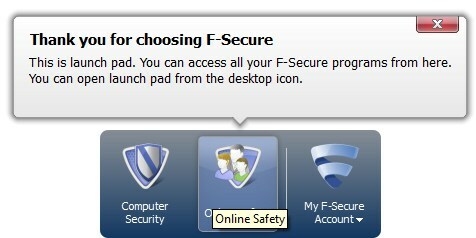 F-Secure has just released a new beta or technology preview that is a showcase for their 2012 programs. The technology preview TP 29 contains several new features including a new launch pad for the antivirus, upgraded deepguard 4 protection that utilizes the cloud, online safety that includes phishing and parental controls, sliders in the settings menu, and even optimizations for mobile broadband to prevent excessive use of bandwidth. Top all of this off with the fact that the Free Beta expires in September 2011 or 6 months from the date of installation for 3 computers! Since F-Secure has been so generous, please make sure to send in suggestions and comments. Get a Free License Key for 3 computers for 6 months here! 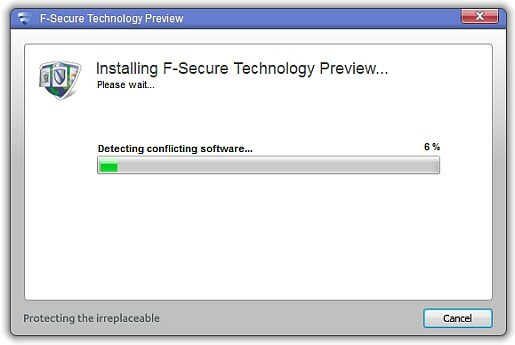 The installation of F-Secure Technology Preview was easy and has been completely revamped from the previous version; i.e. I didnâ€™t run into any abnormal problems. The initial installer is only 1 megabyte in size and downloads the correct version. The installer also checks for conflicting software. Once completed, the installer didnâ€™t require a system restart which is an improvement from the previous versions according to the release notes (I don’t recall having to restart the last time). The F-Secure beta is now organized in a new way. 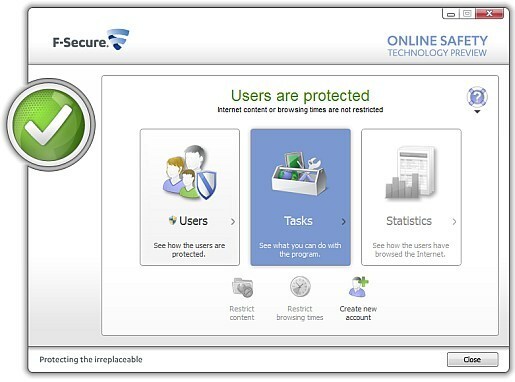 There are two main interfaces the Computer Security (the core antivirus and firewall) and the Online Safety ( parental controls and phishing protection). 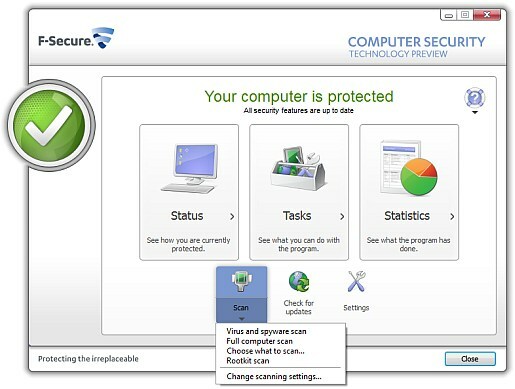 In the Computer Security interface, there are three scan settings, the virus and spyware, rootkit, custom, and full system scans. The virus scanner (engine) is still very fast and scanned at an average of 11 megabytes per second. Even though engine performance enhancements are listed as improved in this version, itâ€™s hard when the scanning performance already is faster than the majority of antivirus. F-Secure Beta detected one object, a tracking cookie, on the test system. In addition to a regular scanning there is the rootkit and the riskware (fake antivirus) scanners. The DeepGuard 4 protection has been improved as in it properly recognizes trusted and known safe programs. With previous versions I would be prompted constantly during normal usage. F-Secure Technology Preview also includes a fully functioning firewall. There are now a lot of nifty profiles including mobile (blocks everything except http and vpn), office (doesnâ€™t prompt but has specific inbound rules and allows TCP and UDP; was the default), block all, allow all, home (TCP outbound allowed and can add own rules), and normal. There is also specific application control and a full IPS system. I really liked the feature on the tasks menu which gives the user the option to open a firewall port quickly. Keep in mind that the firewall blocks IPv6 by default and one will have to navigate to the settings menu to change this. F-Secure Tech Preview uses about 55 megabytes while idle and about 70 when scanning. CPU usage varies from 7 to 14 % during scanning. What’s nice is that the scanner doesnâ€™t hog a lot of memory when active compared to other free antivirus. The program is also lightweight and I didnâ€™t have a problem with intensive simultaneous usage. There really are no stand out problems so enjoy this beta while one can!